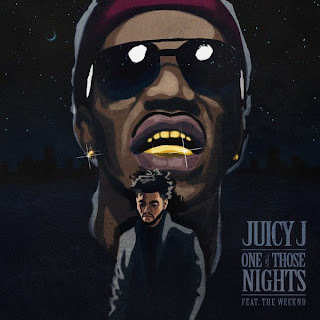 Nice little surprise from Juicy J a few hours ago when he released another new track called "One of Those Nights" featuring Toronto's crooner The Weeknd. The two find themselves on a crisp beat that is both celebratory and dark, but a solid blend of both. This song will be on Juicy's upcoming album, Stay Trippy, which is shaping up to be some of his best material yet. Plus, I'm liking that cover art for this single. Stream it below.